To unit test a directive which loads an external template for the HTML. Grunt, Karma, Jasmine, PhantomJS, AngularJS. Note: It could be classed as an E2E test if we want to mock the $httpbackend and simulate events together with the controller (also to load the templates into the $templateCache) but for this one we’ll do a simple unit test to get it working. Also we could extend our app to use app.directives and pass that into the test. But for this test everything is under the app module. 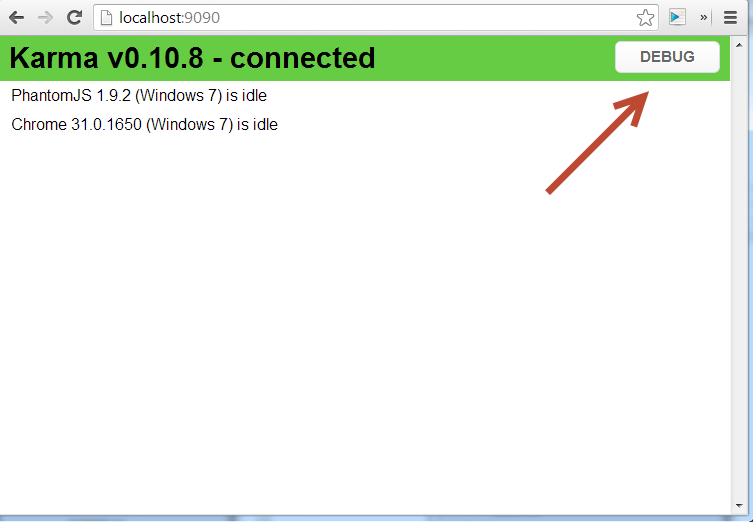 In this example I am testing a bootstrap navbar directive to have been appended to the DOM and contain links. 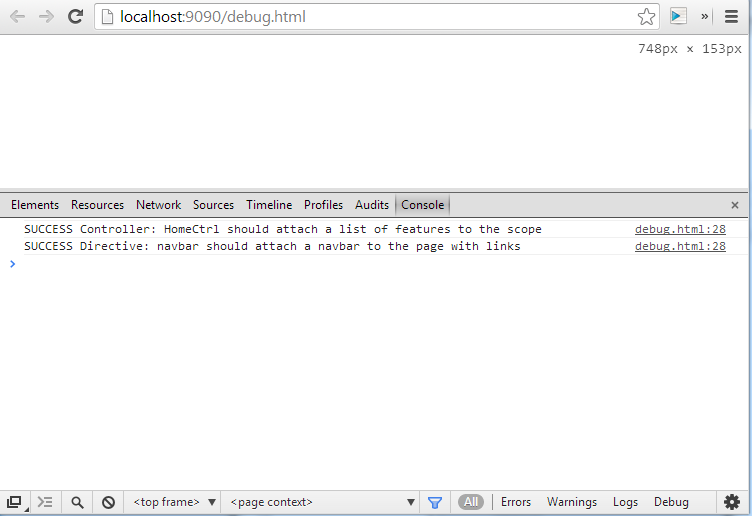 You can use Chrome Karma debugger to see whats going either use console.log or debugger; in your code as usual.